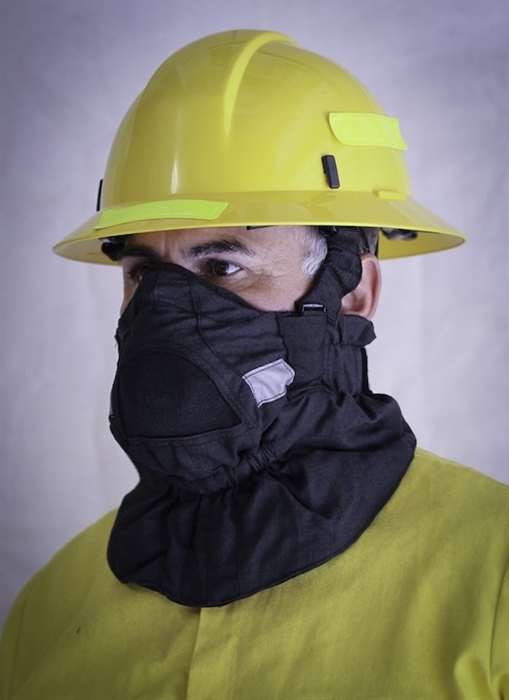 The Hot Shield Wildland Face Protector Mask model HS-2 is a firefighter designed multiple layer,carbon fiber fabric face mask. 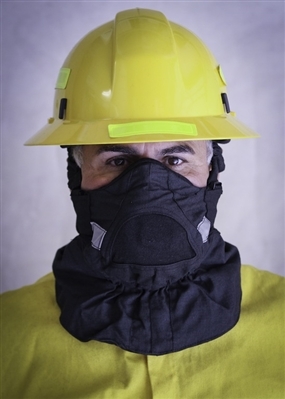 Withstands over 2000 degrees of direct flame/radiant heat to help protect against burns to face & neck and provides measure of respiratory relief using inexpensive activated carbon N-95 filters (2 in package). The Hot Shield Wildland Face Protector Mask model HS-2 is a multiple layer, fabric face mask designed to provide two (2) major benefits/protections; primarily heat/flame & burning embers protection to major portions of the face & neck, and secondarily, a measure of respiratory relief. Made of CarbonX fabric, the only inherently non-flammable fabric in the world and withstands over 2000 degrees Fahrenheit. Third party tested to achieve a RPP rating of 11 cal/cm2 and a TPP rating of 10 cal/cm2 . 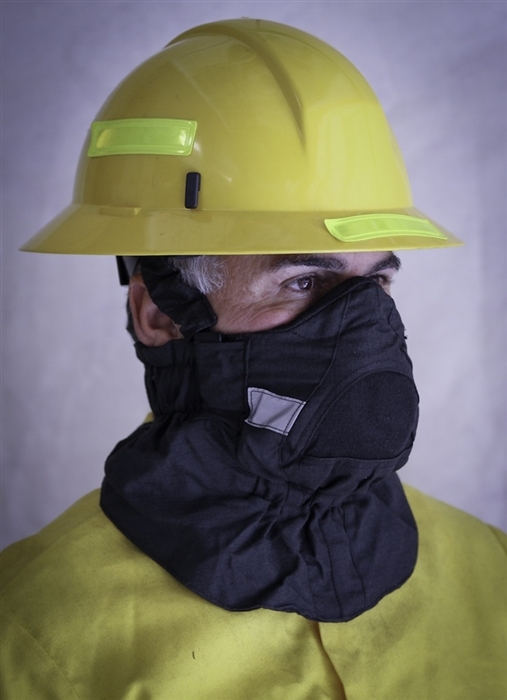 Integral filter pocket accepts any low-level N-95 particulate respirator filter. Fastens behind neck and can hang below the face until ready to deploy. Can be laundered or washed by hand. Inexpensive filter replacement. Reflective trim for nighttime visibility. One size fits all. Packaged with 2 activated carbon low level N-95 filters. Hot Shield Ultimate Bandanna True North - FIREFLY™ FRAME True North - ALICE CLIPS True North - Saw Bar Cover 28"